I too, at times, have felt a great hate for those that have taken so much, with no sorrow for what they do. But hate wears you down, and does not hurt your enemy. It is like taking poison and wishing your enemy would die. I have struggled with these feelings many times." He continued, "It is as if there are two wolves inside me. One is good and does no harm. He lives in harmony with all around him, and does not take offense when no offense was intended. He will only fight when it is right to do so, and in the right way. But the other wolf, ah! He is full of anger. The littlest thing will set him into a fit of temper. He fights everyone, all the time, for no reason. He cannot think because his anger and hate are so great. It is helpless anger,for his anger will change nothing. 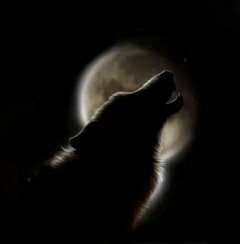 Sometimes, it is hard to live with these two wolves inside me, for both of them try to dominate my spirit." Nice story, as far as it goes. I decided to feed that angry wolf - and take the power the Lycaon Society denies. Never read a better post! Aug 28, 2017 06:11 pm Great! Aug 17, 2016 09:35 pm I like how you make threads come together!